Vegan apple ginger muesli made with nondairy yogurt and nutrient rich seeds and oats, i.e. your new favourite breakfast! 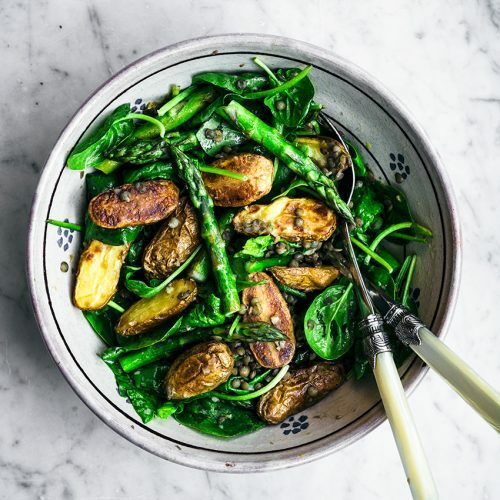 This recipe is from Gena Hamshaw’s beautiful new book, Power Plates. I’m sharing an awesome new cookbook recipe today! 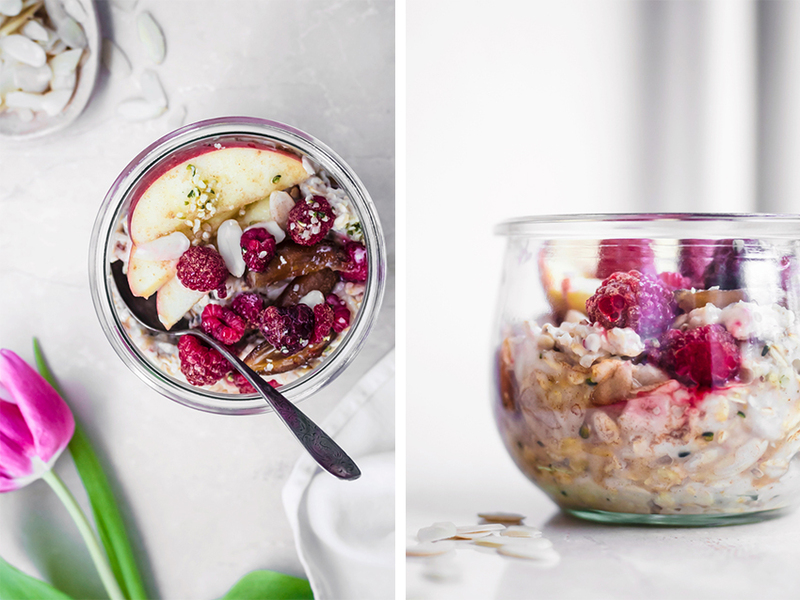 This is a vegan muesli recipe with apple, ginger, and lots of high-protein nuts and seeds. 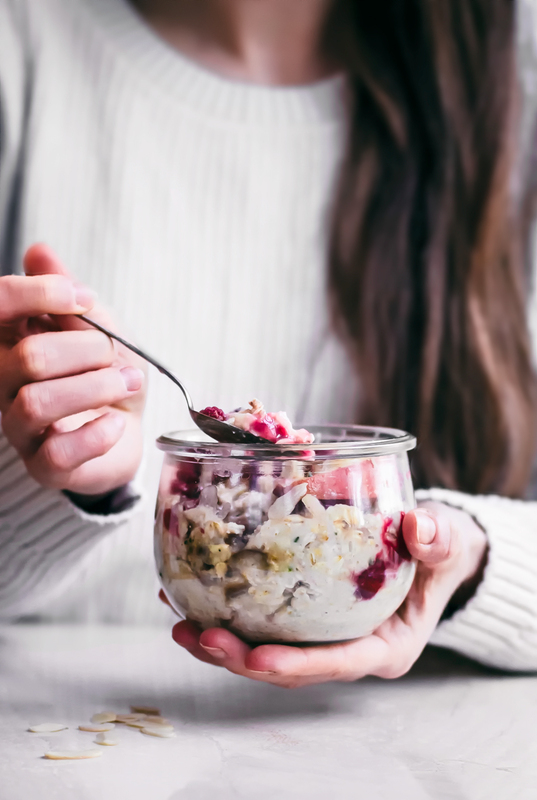 I’ve been eating muesli since I was a kid – we always begged my omi to make it when she was around and it’s a lifelong favourite. It’s one of the few traditional German foods I actually like, but I’ve somehow never shared a version of it here. I pretty much stopped eating it when I cut out dairy, so this vegan version from brand-spanking-new Power Plates was calling my name! 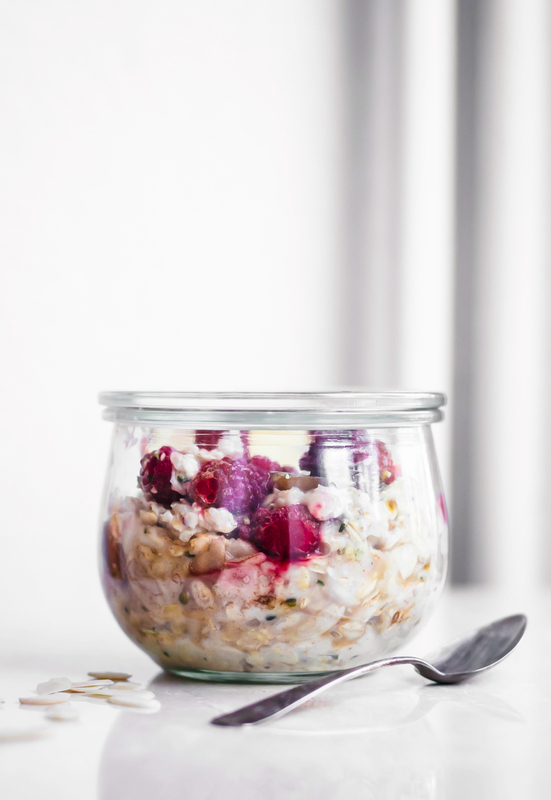 Coconut yogurt is pretty thick and rich for muesli but I tried it with an almond yogurt I usually don’t like that much for this recipe and it was great. Maybe because the recipe itself is so good! I’ll be buying that yogurt every week now just to make this. Even though it’s winter and I usually want a warm breakfast like potato pancakes or porridge, knowing I had this in the fridge made me excited to get out of bed. I had it as a midday snack too. 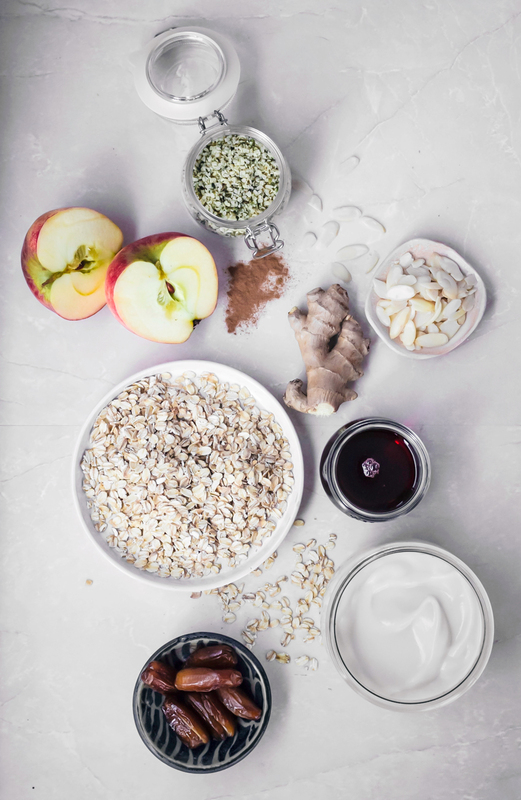 Graham brings overnight oats to work every day and he loved having this apple muesli instead of his usual, so it’s going into our regular rotation now. 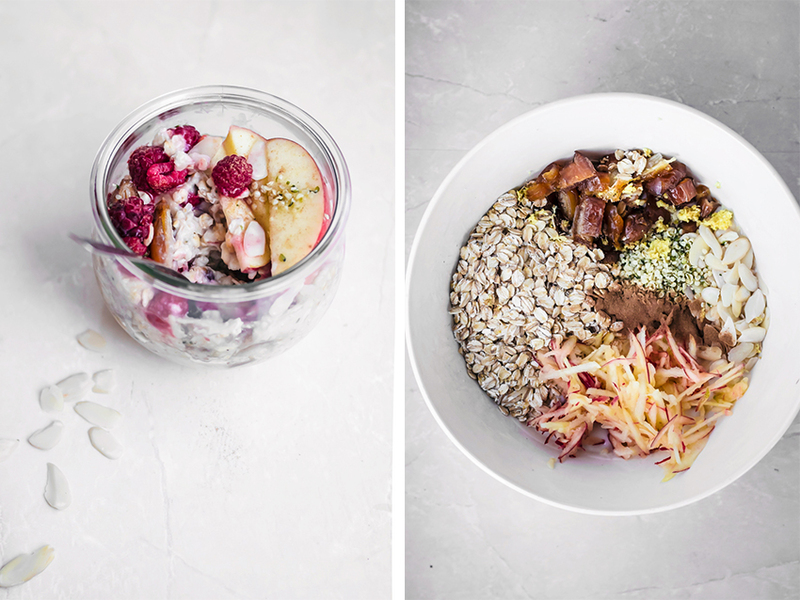 The shredded apple and ginger really brighten things up and make the muesli a little sweet’n’spicy, and there’s hemp hearts and almonds mixed in for some nice texture along with the oats. It takes about two minutes to mix up and you could totally do a double batch and keep it in the fridge for a couple of days. It’s filling but not heavy, so perfect for breakfast! This is Gena’s newest book, and I trust her recipes completely. It’s beautifully photographed by Ashley McLaughlin and everything just leaps off the page. Gena’s a nutritionist and you can really tell in this latest book; every recipe is completely nutritionally balanced, so you get all the proteins/fats/vitamins etc. that you need from just one dish instead of having sides or extras. That means you could just eat from this book forever and always, every meal of the day, and you’d be healthy as a horse. So the recipes are healthy, but they’re also really tempting, with lots of gorgeous comfort food and dishes that are great year round. There’s a section on macronutrient building blocks and another with meal plans, so it’s great if you’re wanting to go veg but not really sure what you need to be eating. I truly think you’ll all love this book, whether you’re vegan, vegetarian, or just looking to eat some more vegetables. 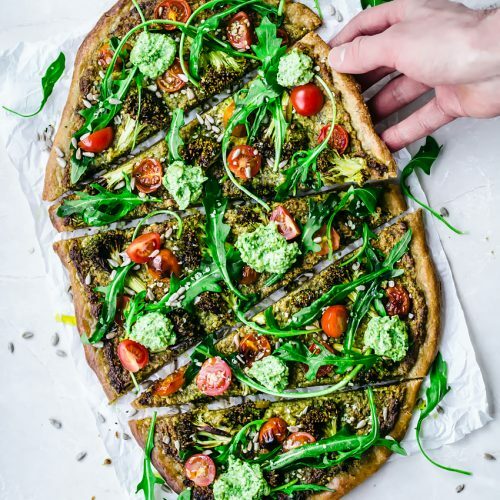 It’s super accessible without a lot of hard to find ingredients – the book is vegan and includes a fair amount of soy products, but if you also don’t eat soy you can sub in legumes (that’s what I’ll be doing). And because every recipe is a meal in itself, you can pick one and know that you’re good to go! 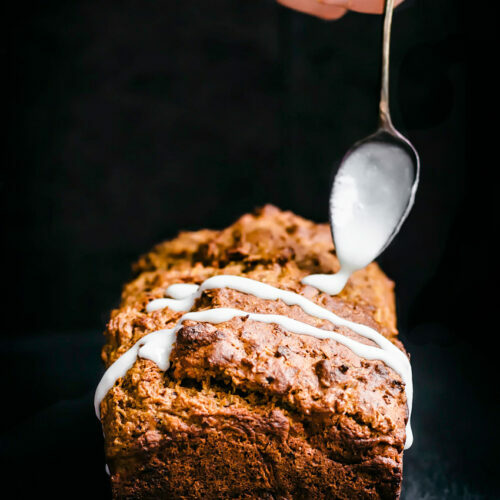 There aren’t any desserts in the book but a lot of the breakfasts could be used as a nice healthy sweet, and it’s nice to have a cookbook that’s truly for every day cooking. 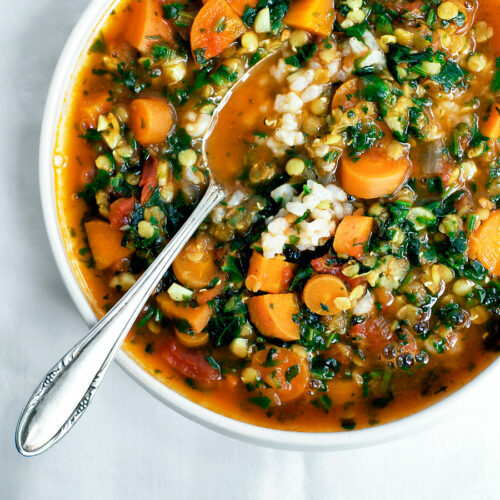 A few recipes I’ve added to my list: Curried Tomato Stew with Chickpea Dumplings, Cauliflower Scramble, Marrakech Bowls with Harissa Roasted Vegetables and Bulgur Pilaf, Protein Packed Caesar, and the Spiced Lentil Tamale Pie. 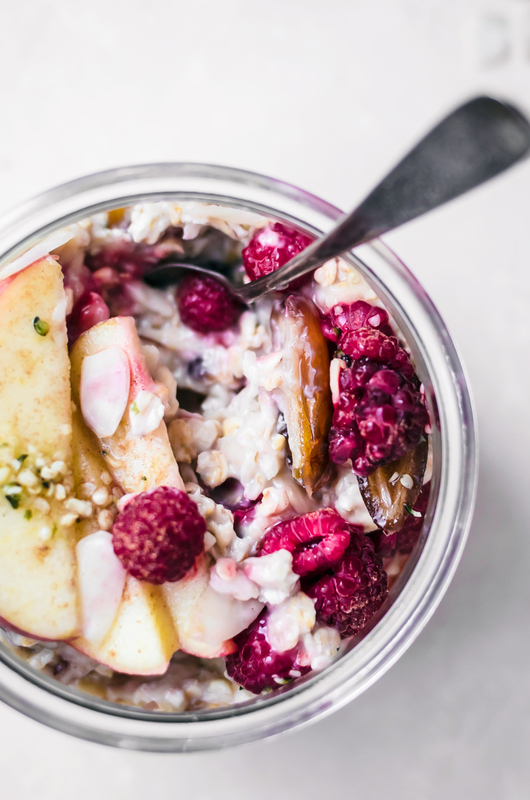 Vegan apple ginger muesli made with nondairy yogurt and nutrient rich seeds and oats, i.e. your new favourite breakfast! 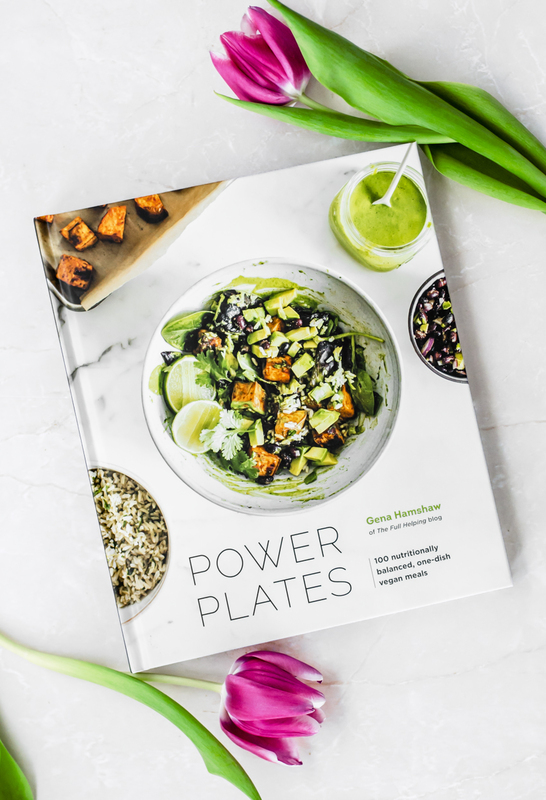 This recipe is from Gena Hamshaw's beautiful new book, Power Plates. 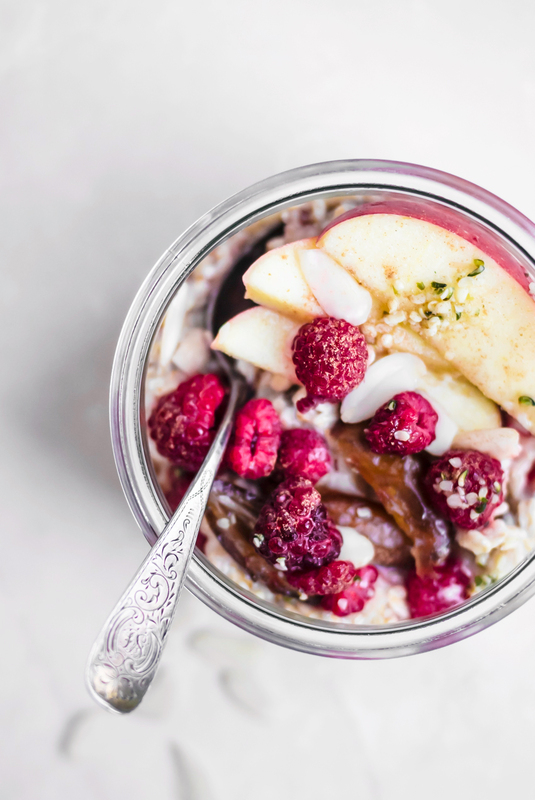 In a medium glass bowl or container with a lid, combine the oats, dates, hemp seeds, almonds, ginger, cinnamon, and apple. Stir in the yogurt. Cover and refrigerate overnight. The next morning, the muesli will be very thick and creamy. If it's thicker than you'd like, stir in nondairy milk as needed to achieve the desired consistency. Serve drizzled with maple syrup. • I've made this and eaten it after a couple of hours of sitting, which isn't ideal, but it sure is tasty. 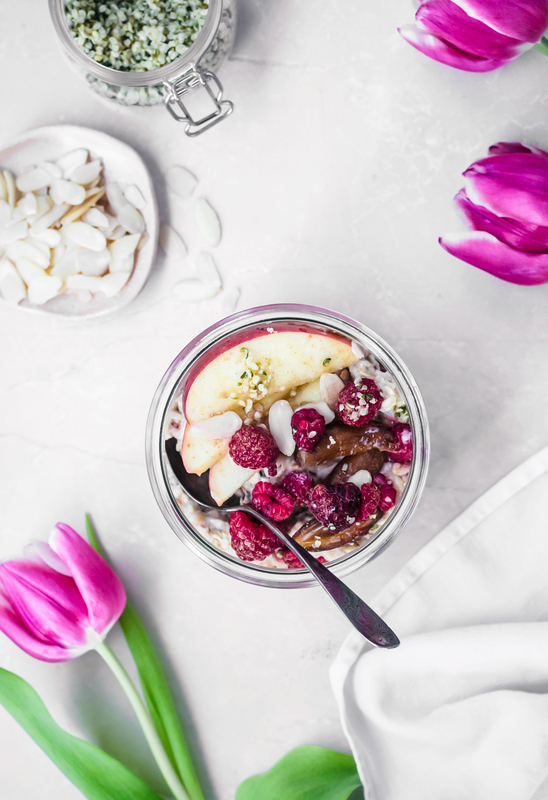 • I topped mine with some raw apple, frozen raspberries, and more of everything else that's mixed into the muesli, but it's great without anything added as a topping too.